It’s hard to believe but Porsche is celebrating 30 years of all-wheel drive systems this year! 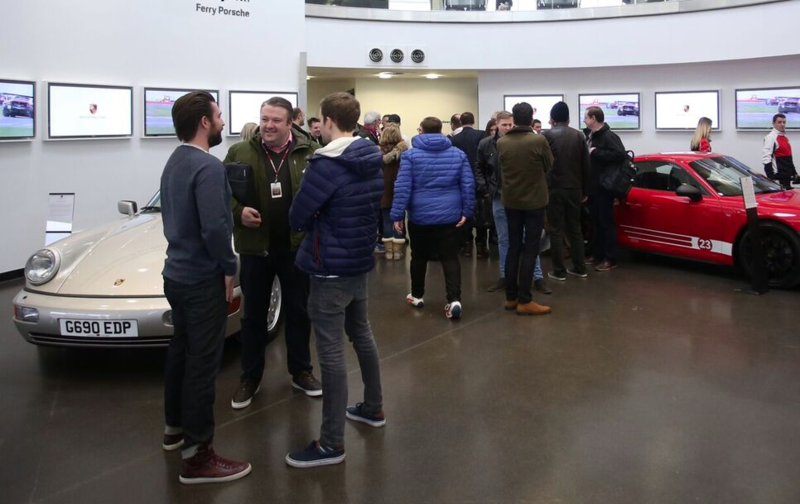 We were recently treated to a day out at the Porsche Experience based in Silverstone to celebrate 30 years of the all wheel drive system from the world famous manufacturer. The latest Porsche Traction Management (PTM) used in the 911 is the pinnacle of current all-wheel drive systems and incredibly capable. The system has been designed not only for maximum traction but also for cornering grip, and stability at speed. As expected PTM represents thousands of engineering hours resulting in how the latest all-wheel drive system has evolved in Porsche sports cars and SUV’s over the last 30 years. Having been to the Porsche Experience Centre before we were familiar with what to expect from the track driving but it’s in the briefing where some real interesting facts came out. 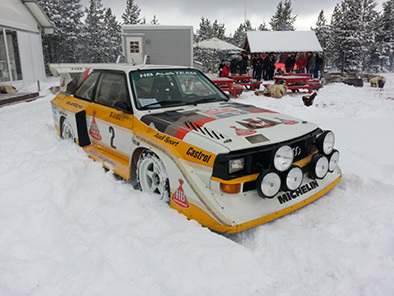 Porsche all-wheel drive has its roots in motor racing when back in 1984; it helped the Type 953 to win the Paris-Dakar Rally. Then in 1986 a year I remember a little more clearly, the 959 super sports cars with electronically controlled variable all-wheel drive celebrated a double victory in the Dakar. It wasn’t until 1988 when the first 911-road vehicle with all-wheel drive as standard came to fruition. The Type 964 Porsche 911 Carrera 4 all wheel drive system might sound archaic now but at the time using a planetary gear set as a centre differential to distribute propulsion was genius. In addition, multi-disc locks were placed between the front and rear axles acting as a centre-differential lock and on the rear axle as a controlled differential lock. Porsche revisited the system in 1994 with second generation, which featured on the Type 993 911. This system was constructed as a hang-on all-wheel; if there is a difference in speed between the directly driven rear axle and the front axle, a passive viscous coupling transfers some of the drive to the front axle. This system was so good and effective there was no need to change it for the 996 generation 911 Carrera and 911 Turbo models, which would follow. 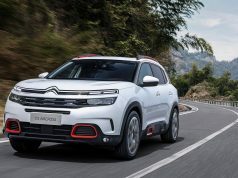 For many the purist Porsche driver always opted for the rear wheel drive 911 but when the offering of an SUV came about in 2002 called the Cayenne, many began to pay more attention to the brand. It is at this point the Porsche Traction Management system was really born. This permanent all-wheel drive system had a central transfer case that distributes drive to the front and rear axles at a ratio of 38:62. 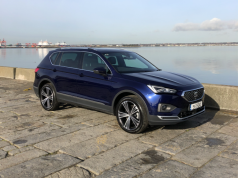 In addition, a reduction gear and an electronically controlled centre-differential lock deliver full off-road capability meaning you could go just about anywhere. Because of the option to split the drive or lock the differentials you could really enjoy low speed off road or high-speed autobahns. Four years later in 2006 Porsche launched the Type 997 911 Turbo with a heavily revised PTM system that had been designed for the brute force and power that the 911 Turbo was capable of. It featured an electronically controlled and electro-magnetically actuated multi-plate clutch with ball ramp reinforcement. This active, fully variable system distributed drive between the permanently driven rear axle and the front axle much more quickly and accurately than the passive viscous coupling used in the previous version. This unit wasn’t only reserved for the Turbo unit either and a couple of years later in 2008 all Carrera 4 models of the second generation of 997 got the new system. 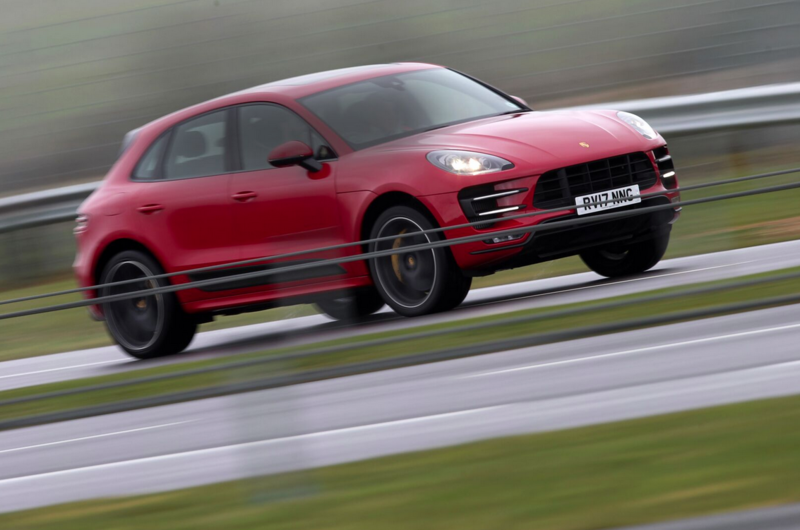 Porsche knew they had struck gold with this system and pretty much all the four-wheel drive models from 2009 on including the Panamera and Macan from 2013 also have a controlled multi-plate clutch. This was a strategy based on that of the 911 to ensure that the Panamera and Macan delivered a Porsche like feel in handling and power delivery. There was little point reverting back to a cheaper option and loosing that pin sharp feeling. 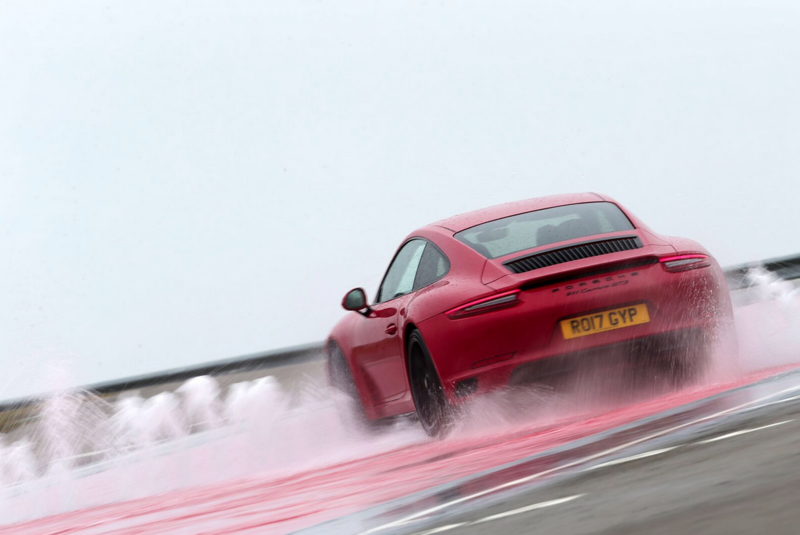 What we got a chance to test at the track was the latest and most advanced PTM version, which was introduced in 2013 on the Type 991 911 Turbo. The massive change for this model was the newly developed multi-plate clutch was, and still is, controlled by an electro-hydraulic set up rather than electro-mechanically. This makes the transfer of power even faster when needed and after doing multiple launches we can safely say it is staggering. 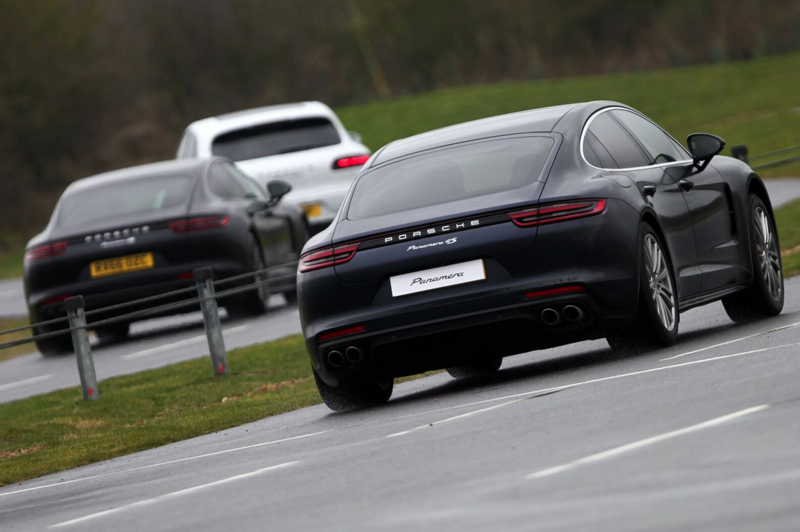 Our test cars on the day included the 911 Carrera 4, Turbo, Macan and Panamera on track and on the skid plates. We were also given the chance to experience the Carrera 2 for comparison and whilst the difference is night and day on a skid plate, it’s incredibly similar on the track. Porsche have engineered the all wheel drive train to still be playful and with the power split leaning on the rear unless needed. 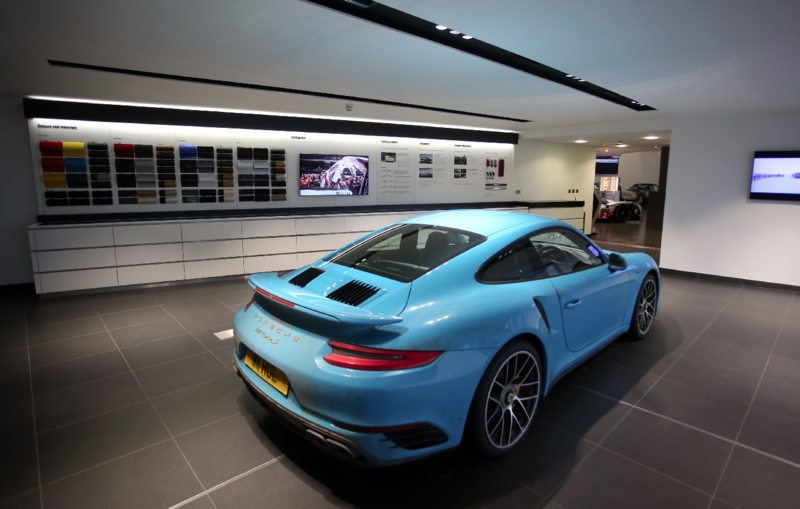 In sport you can still feel the tail move about allowing you to enjoy that 911 experience. 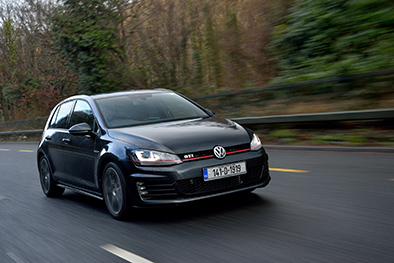 There is a sense of security like no other with the all wheel drive system and even in damp conditions you can push on. 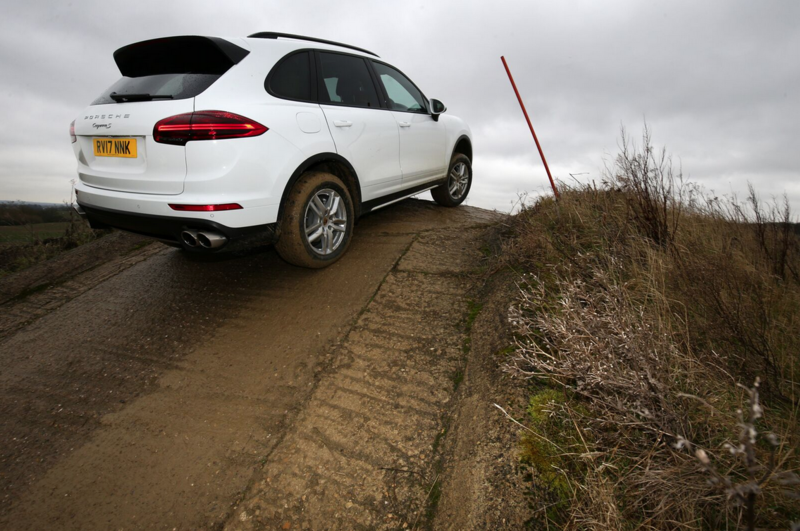 Rounding off the day we got to go off road on a challenging course designed specifically for the height clearance of the Porsche Cayenne. Here we got steep inclines, sharp descents, low grip cambers and water to experience the PTM system at its best. One section even required the differentials to be locked but at no point was the Cayenne ever troubled. 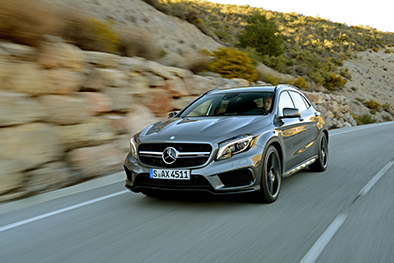 Our joint assessment of this SUV’s capabilities was one of surprise. 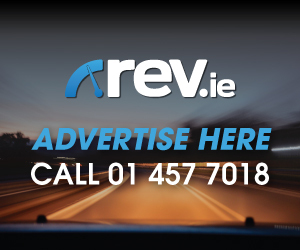 This is a vehicle that rarely gets used to its potential on Irish roads but its quiet impressive to see that even on normal road tyres, it can be done with ease. The latest PTM system is over 30 years of engineering perfection and it doesn’t really matter which all wheel drive Porsche you pick because you are pretty much guaranteed to be getting the best in each category. Roll on the next 30 years!